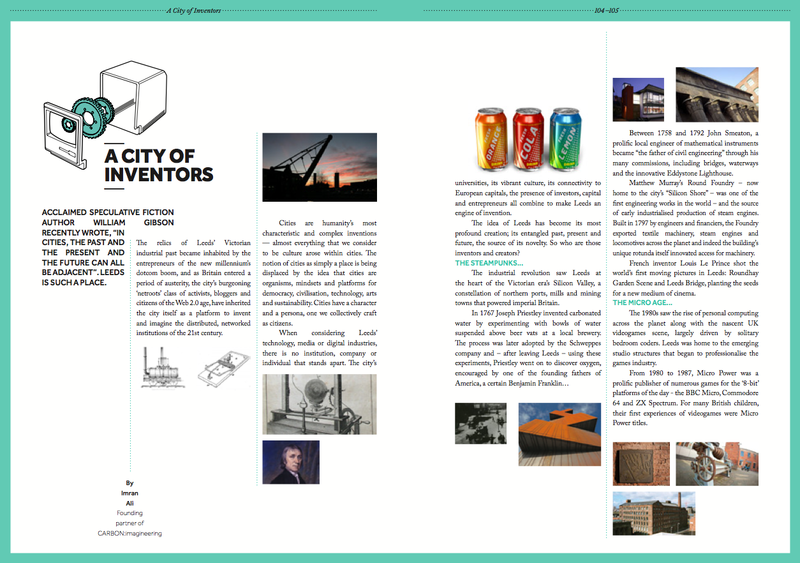 Carbon was commissioned by Marketing Leeds to contribute a piece on the city’s technology ecosphere for their 2012 edition of Live It Love It: A Style Guide To Leeds; the official publication for marketing the city, distributed freely to visitors and residents. Leeds’ history of innovation and invention spanned both the industrial and information ages, modestly contributing machines and minds to humanity. Carbon wanted to ensure these stories were known and to deliniate the arc of the city’s inventiveness into its future. The final piece framed Leeds as “a city of inventors”, and illustrated four key eras: The Steampunks, The Micro Age, The Dotcom Boom and The Great Reset. Download Live It Love It 2012 or read it online.